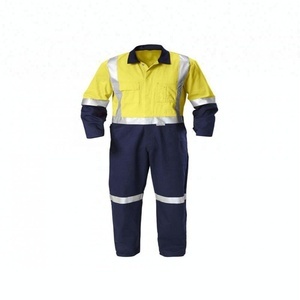 Reflective striped flame resistant coverall workwear ,fire resistant coverall,Reflective coveralls 7 oz. fabric Left front chest pocket Two button adjustable cuff closure Durable and lightweight Button down collar for a professional look Packaging & Shipping Multiple ways of delivery (you can choose your own way also) Service we supply: 1) New design and new materials are provided as your requirements; 2) We are pleased to be given a test order; 3) OEM services are available; 4) One-stop service: Satisfy what you want. If you have design want to make, we can do as follows: 1) You send us your design (sample or picture), so that we could know your needed exactly; 2) We make the samples for you first, then send you the pictures and samples by express; 3) After samples arrive and confirm (any changes we'll follow), you can place an order to us. 4.Q: How does your factory make quality control9 A: Quality is priority. 4.Q: How does your factory make quality control9 A: Quality is priority. Our QA&QC will follow ISO procedures to control the product qualities. 2.Are you a manufacturer9 We have factory,so we can control the quality and can give you the best price. 5.How should I afford the sample freight fee9 1) It will be convenient if you any courier account. 6.Can your factory print or emboss my logo on the goods9 Yes, we can print your logo on box or carton. 2. Original design could be improved according to customer&rsquo;s demand. 3. Template parameter could be revised according to customer&rsquo;s demand. 5. Colors choice according to customer&rsquo;s demand. 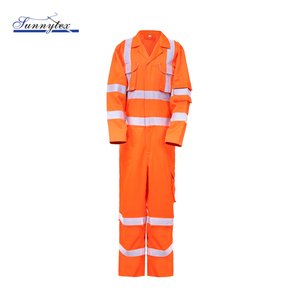 microporous plastic pp scrap women disposable plastic coveralls Description: 1. 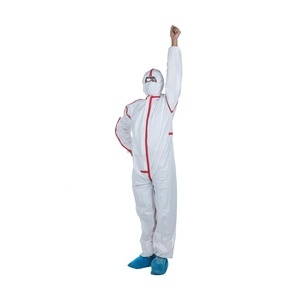 Name: Non woven protective coverall 2. Application: Hospital, dustproof place, food/electronic/chemical workshop 3. Material: 20-60gsm PP/PP+PE/SMS available 4. Color: white, green, yellow, blue, pink 5. Style: elastic/ knitted cuff, front zipper, with hood no boot/ with hood and boot/ no hood no boot, elastic waist, Customization is available 6. Size: S-7XL sizes available 7. Packing: 5pcs/polybag, 50pcs/carton and as you require 8. 1*20&rdquo; FCL: 27,000pcs (tolerance as different sizes and materials) 9. Mini quantity: 10,000pcs 10. Certificate: CE, FDA, ISO13485 Product Show Features: 1. 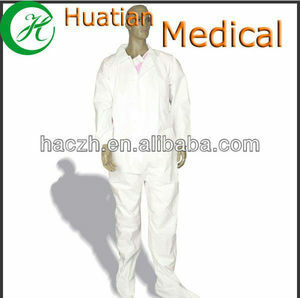 Isolation gown is made of excellent non-woven material from biggest supplier 2. Lint-free, waterproof, good tensile strength, comfortable 3. Breathable, excellent to dissipate body heat, against splatter of Our advantage: 1. 5,000 square meters absolutely dustless clean workshop for clothing making 2. We stick to strict quality inspection standard on production ensuring high quality. 3. Different design of products is available on your request. 4. Samples and customization available Packaging & Shipping We also provide: 1. Disposable surgical isolation gown: PP/PP+PE/SMS 2. Lab coat: PP/PP+PE/SMS X-3XL 3. Coverall (with hoot and boot or with hoot no boot, front zipper): PP/PP+PE/SMS 4. Caps: PP bouffant cap, doctor cap, snood cap, mob cap 5. Face mask: 1ply-4ply, ear-loop/with tie/with plastic shield/N95 6. Shoe cover: PP/PE/CPE, non-skid shoe cover, automatic shoe cover Our team, we will be always at your service! We have a well-experienced team to manufacture pharmaceutical machinery and equipment and a professional design institute. In the past years, we have made great achievements due to our good credit and service. 2.We repect every customer as close partener and friends wherever they came from. Washing resistance: washing methods according to the provisions of the resistant static performance is still meet the requirements of the above indicators. c. More details pls contact our website as follows: Enterprise Spirit "Customer is The God ,Try our best to service customer. And also other disposable products such as clothes , caps , sleeve covers ,shoe covers and gloves. 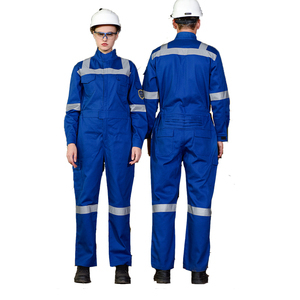 Gaomi Bate Safety Product Co., Ltd.
Alibaba.com offers 18,021 women coveralls products. About 4% of these are other uniforms, 3% are women's suits, and 2% are safety clothing. A wide variety of women coveralls options are available to you, such as free samples, paid samples. There are 18,018 women coveralls suppliers, mainly located in Asia. The top supplying countries are China (Mainland), India, and Pakistan, which supply 73%, 23%, and 3% of women coveralls respectively. 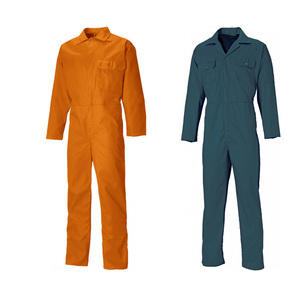 Women coveralls products are most popular in North America, Western Europe, and South America. You can ensure product safety by selecting from certified suppliers, including 1,599 with Other, 967 with ISO9001, and 152 with ISO14001 certification.